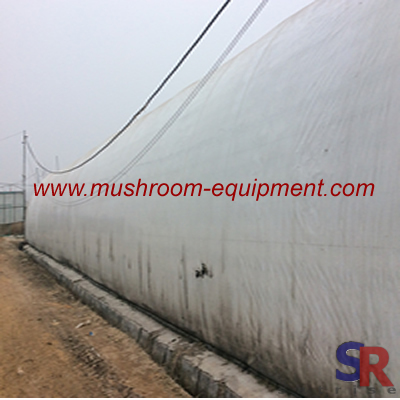 In whole mushroom plant, growing room is one important part. But invest a growing room, it will spend much money. For personal grower, these must be a big invest. 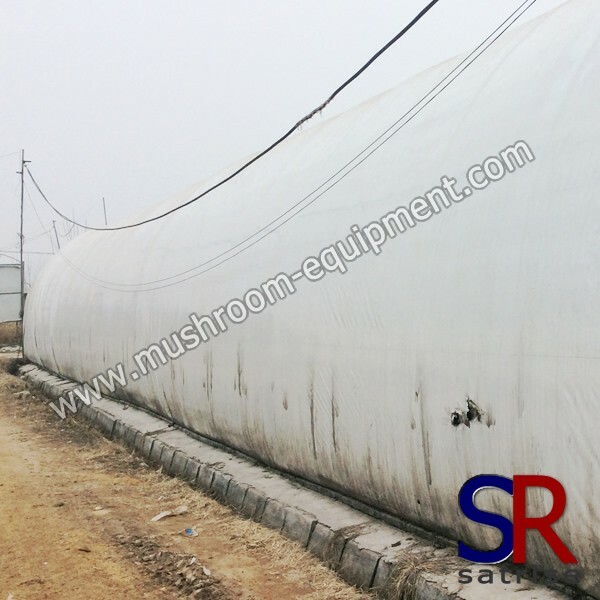 Mushroom greenhouse is designed according to irland growing room. Inner structure is steel and cover film.Low cost and easy installation.Meanwhile shelf and cooling unit are available. Common dimension: 33m length and 7m width. As usual, one greenhouse can hold 2 sets shelf. Each shelf about 220m2 grow area. Total 450m2 grow area. A complete greenhouse cost about 28000USD.